Something special has been happening in the community of Petite Riviere that's worth crowing about. It all began with a brown and black chicken named Magic, the only hen in the Petite Riviere Elementary School coop that lays blue eggs. 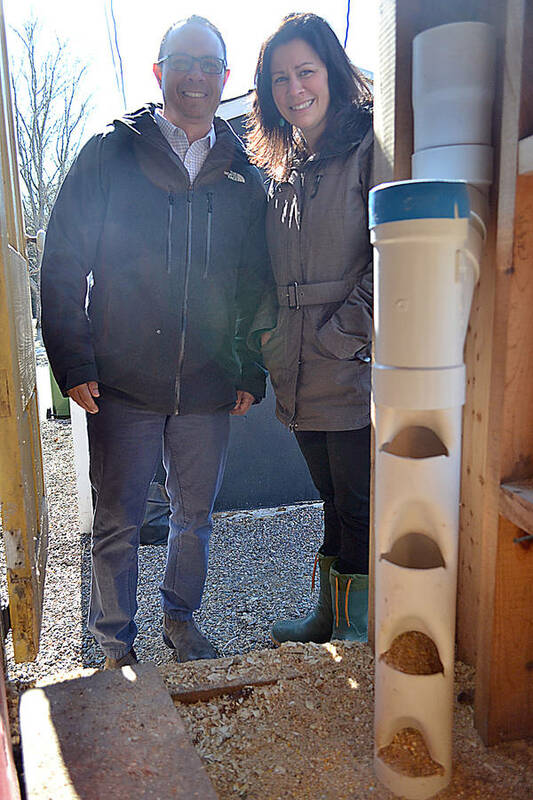 And thanks to community members, a plucky country vet, and the miracle of modern medical technology, Magic is alive and well, and the future looks bright for other chickens in the area. 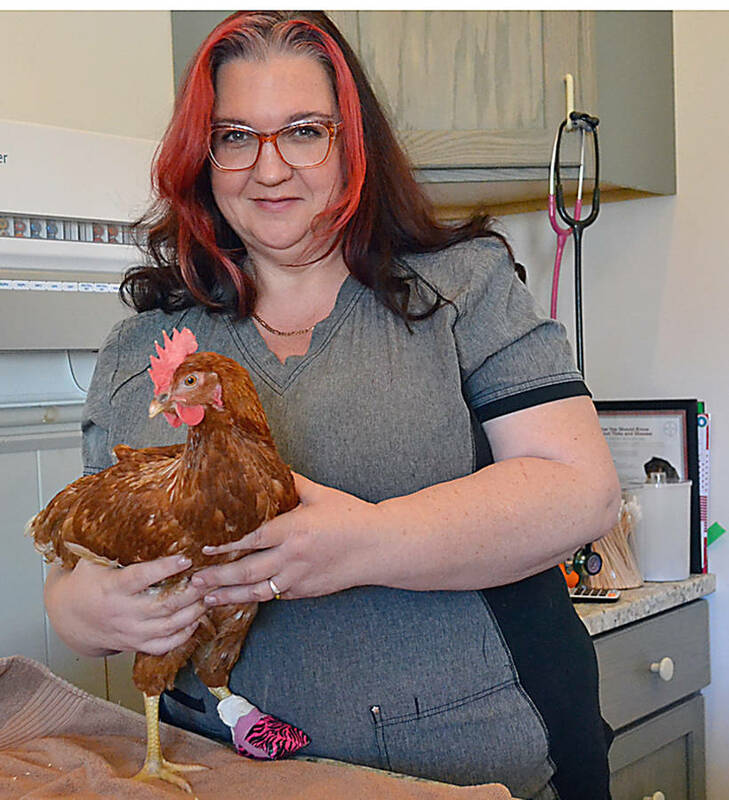 "It was a cooperative effort for sure," says Dr. Shirleen Guest, who moved back to Nova Scotia from Ontario and opened her Petite Pet Hospital and Wellness Clinic in January. In February, school staff were working with students on an Adopt A Chicken campaign to help raise money for the school's chicken program, which feeds into its breakfast program. The idea, explained Kristy Bouilier, the school councillor, was to create a profile for each chicken. "And make a little chicken card, almost like a Pokemon card, but with a chicken." "Made-up things like their favorite sport. Funny things," added Scott Rawding, the school principal. 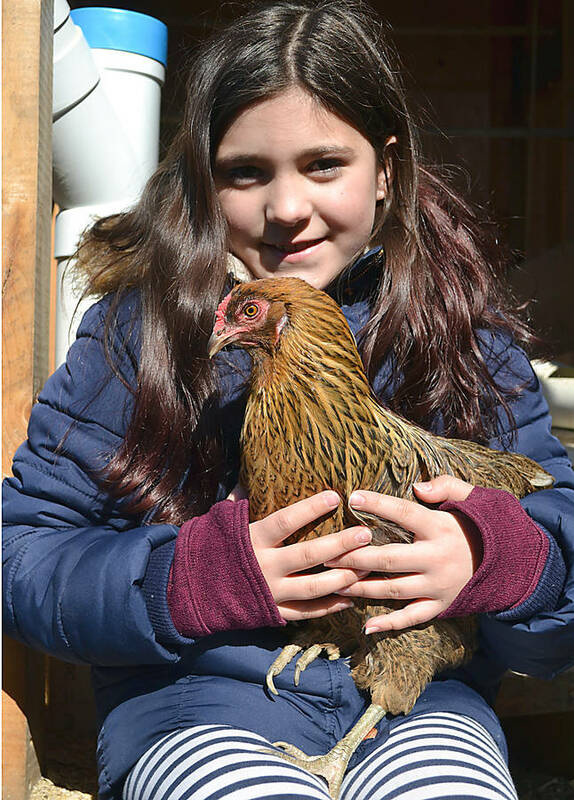 A professional photographer came on site and two of the students who had chickens at home and were comfortable handling them were enlisted to help with the photo shoot - Stella Newell, who is in Grade 5, and Reegan McCarthy of Grade 4. "We kind of call them our chicken whisperers, because they're so good," says Rawding. It was Stella who noticed the big lump on Magic's neck. Boutilier and Rawding consulted their "go-to person" with the chickens, Jill Swain. She raises chickens herself and has children attending the school. A call went out to Guest. Growing up in Bakers Settlement, the veterinarian had chickens at home as a child, but admits she didn't have much experience treating them. "There was some pressure involved because she was a blue-laying chicken. The one and only in the coop that lays blue eggs," Guest told LighthouseNOW. "And her name is Magic, so the kids can really identify her. And there's no chicken quite like Magic. No pressure here." Guest recalled laughing. But knowing her clinic had an x-ray machine and the necessary medical equipment, she offered "to take a look." Boutilier and Rawding were hesitant, knowing the school had little money for vet bills. However, Guest, who has a son at the school, offered to cover the costs as a contribution. She promptly went on the veterinary interactive network and did some research on "bulges in chicken necks." Guest learned that the problem was an impaction of the crop, which is a pouch at the base of a chicken's neck where food collects for the initial stages of digestion to occur. From there, the food feeds through down the digestive track. If it gets plugged, the food cannot pass. Located "nicely" outside the chest cavity, Guest found it could be removed. She anesthetized the chicken with gas using a modified rodent mask, made an incision and pulled out a ball of hay the size of a tennis ball. "She was losing food because the food would get caught in the hay ball," says Guest. Hay had been donated for bedding, and is appropriate for chickens. "But this particular chicken had taken to eating her bedding ... found it interesting, found it had nutritional value, I don't know," the vet explained further. After extracting the ball, she flushed the crop, and used surgery staples to close the incision back up. She gave Magic pain medication and, since it was a weekend, enlisted Swain to have the chicken recoup at her home. "At that point, she was much more versed in chicken husbandry than I," says Guest. 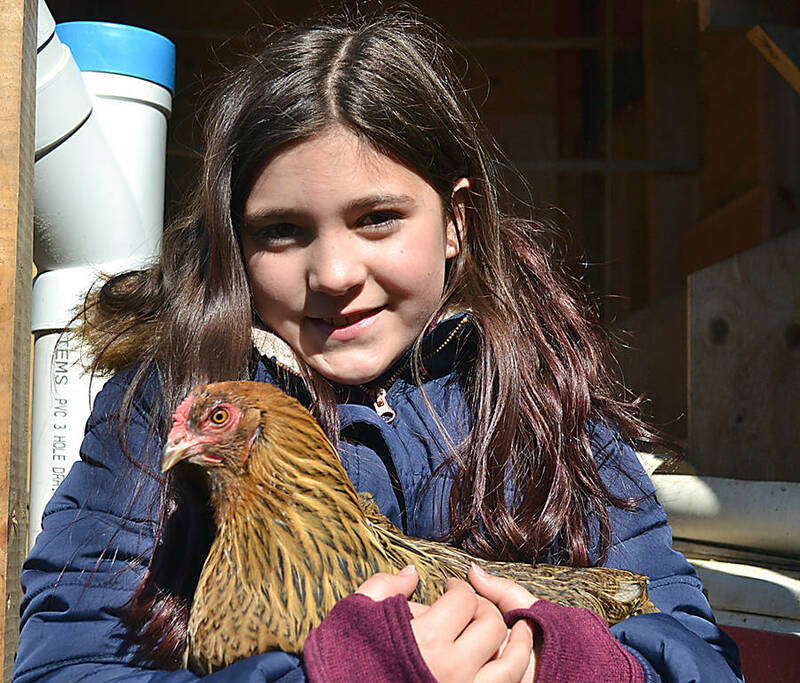 Three or four days later Magic had recovered enough to be returned to the school's chicken coop. According to Guest, the chicken fit right back into the pecking order with no particular drama. Since then, word has gotten out in the community and beyond, and people are starting to bring their chickens to Guest. One owner has brought hers from Liverpool. 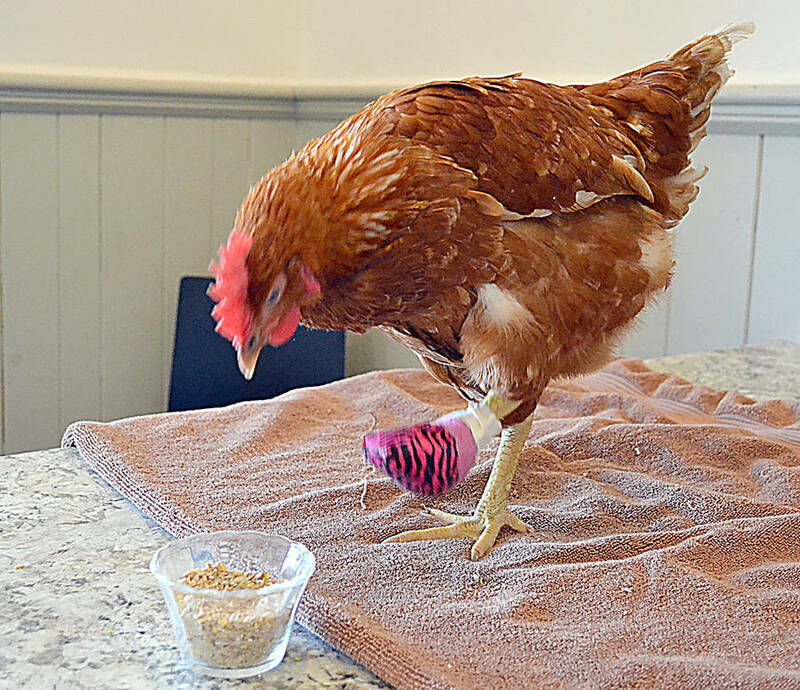 "So far I'm up to three chicken patients, and all three have had surgery," Guest reported to LighthouseNOW recently. However, she admits she and her staff are "learning as we go." For example, she' discovered chickens require a lot of anesthetics and pain medication. "It's their metabolism." But it's not just on the medical front that Guest is learning about the birds. "What I found was chickens are super tough. But they're also super interesting, like personality plus," she says drawing out the words. "I'm starting to get interested in having a pet chicken," she adds laughing. 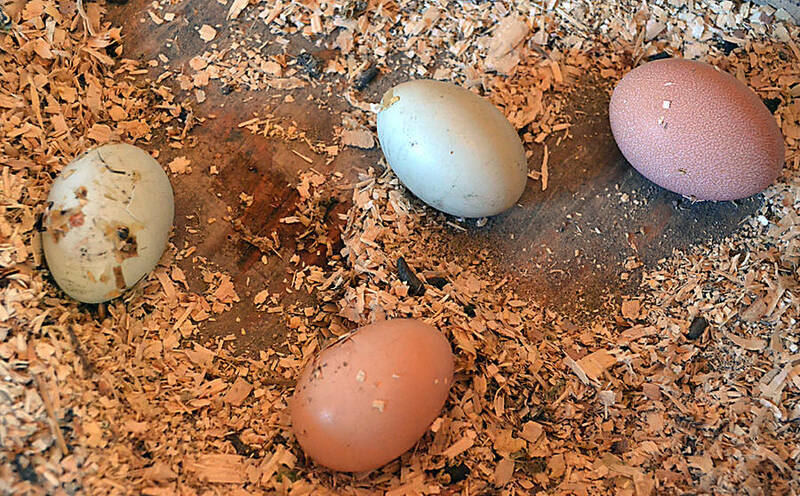 Meanwhile, students at Petite Riviere Elementary School have taken steps to ensure neither Magic nor the school's other seven chickens develop the problem in the future. They surmised the issue was that the chicken food was mixing with the hay on the ground. So two of them, Devin Helmer and Theryn Boutilier, created a tubular automatic feeder that would prevent this. They subsequently entered it into the school science fair held recently at the Lunenburg County Lifestyle Centre. And therein, perhaps, lies some of the "magic" behind this chicken story. "I think that's probably the biggest, coolest, neatest thing," suggests Rawding. "People think, 'Oh we have chickens on campus'. Okay. That's great. But all the learning that's happening, it's incredible," he said.